North Shore Door is Metro Vancouver’s top showroom for doors and windows. We are in the business of supplying the needs of Vancouver home owners, home builders, housing construction companies and interior designers with quality products and outstanding customer care. We know what doors and windows will look great in a west coast environment. We are proud to serve your home's needs through all Vancouver seasons. 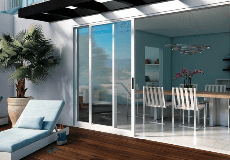 Take full advantage of North Shore Door's experience, expertise, product supplier and home builder connections. Our team of product and installation specialists work to your specifications, plans or design. Get certified excellence in materials and services, including environmentally friendly and energy-conserving products. No matter what your needs are, from replacing a residential window to creating a custom doorway for your family that says welcome home, we'll answer all your questions and take care of you from the moment you pick up the phone or write us an email. North Shore Door is rated 4.9 out of 5 by 15. Rated 5 out of 5 by snowy from excellent knowledge and personal service north shore door was excellent from start to finish. knowledgeable management assisted with selecting the best window design and arrangement for updating my older home. The quality windows supplied exceeded my expectations and the installer must be the best in the business, the quality of the finished job is fantastic and they cleaned up leaving nothing behind. 5 stars! Rated 5 out of 5 by MavisS from Excellent, professional organization I had gotten two quotes for windows before I chose North Shore Door. With the others the price was good but the salesperson didn't seem to know what he was talking about; also the windows were just too unattractive to think about buying. At North Shore Door everyone I dealt with was very skilled and professional, from the salesperson Mike to the installer Colin to Belma in the office. Mike was very honest and knowledgeable in telling what I needed and Colin did excellent work and cleaned up completely when the job was done. Rated 5 out of 5 by JH54 from Great selection and customer service The showroom had a great selection and the salesperson was very knowledgable and helpful. Once ordered, the window arrived quickly. The installation was a tricky one - a large greenhouse window, second floor with not much space on the ground to work on. The installation crew were very professional and got the window installed and framed beautifully. Rated 5 out of 5 by GrandBoulevard from Great work from North Shore Door! We decided on North Shore Door to install our Milgard Windows as well as our doors. We were extremely pleased with the quality and professionalism we received from John, Colin and the whole team. In particular, we were very happy with the finished install as our home is somewhat unique and required a number of custom approaches for the replacement window installation. Colin and his team ensured everything was installed to perfection, and kept to the timeline they promised at the outset. I would definitely recommend North Shore Door for your window or door project. Rated 5 out of 5 by Carol40 from The dealer provides excellent service and is responsive to inquiries. Excellent company to deal with. Lots of products on site to show examples, good hours, easy to access office, available to meet at office or site when required.